Ask our students what makes them hate reading and many of them will say the work that comes after. The reading logs, the essays, the taking notes when reading, the post-its, the to-do’s. Not the act of reading itself. They share their truths year after year and year after year, I wonder how I am going to see whether they really are understanding and learning without making them drown in assignments that make them hate reading. It is a hard balance to find, especially if your students like ours have reading abilities that range from years above grade level to years below. While the students will be working on other skills with their reading, right now, we are working on increasing stamina and enjoying their books, a skill that some of our students need a lot of work on. When we introduce too much to them to do, that is when they end up not really working on their reading but rather hunting the text for their answer. This is when they start to dislike reading. While being able to disseminate a text and do the heavy work with text analysis is important, I cannot have them do that all of the time, not every time they read. After all, how many adults do that every time they read? This year, my colleague, Reidun offered up a great idea; the simple notecard. The notecard is unassuming. It is limited in its scope based on its size and it also does not take much time. Rather than writing anything long, which we only do once in a while, when students have been introduced to a teaching point such as writers using emotive language, we then ask them to return to their own self-selected text and look for an example. As they read they find a sentence or two, write it down and hand it to us. A student’s example of descriptive language found within her text. When I have a moment, I am able to quickly scan through to see who got it and who didn’t, make a note of it and then figure out who needs to be in one of our small groups. Who gets it, who doesn’t. The kids spend most of their time reading, rather than taking notes, and I get a chance to peek into their thought process. As the year progresses, our skill focus will change, our questions will deepen, and yet, offering students time to “simply” read is something that we will continue to protect every single day. The notecard allows me to peek at skills, to inform my instruction, and to collect data. All without causing a major interruption in their time with the text. A question I am asked often is how do I know what my readers know when they are all reading their own self-chosen books? How do I keep them accountable for their reading? How do I know what they can do without knowing the book they are reading? And I get it. 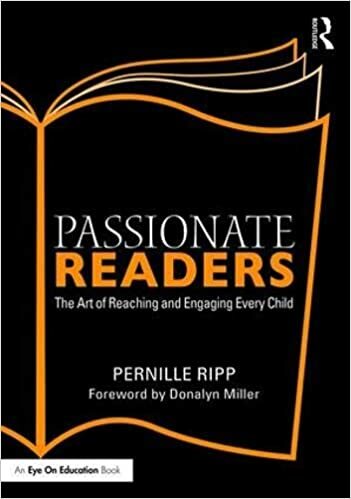 How do we adequately assess the readers we have for their growth in comprehension when we don’t have them DO stuff all of the time? Because that’s the thing, one of the biggest reasons that kids report for hating reading is actually the stuff we have them do after they read, not the actual reading itself. It seems as if we have forgotten a few simple lessons that academics such as Louise Rosenblatt have been trying to remind us of for years. Kids need relevant reading experiences that not only teach them how to be better readers but also help them grow or protect their love of reading. I think I just summarized the goal of my book Passionate Readers here. Yet, when we constantly attach something to the very act of reading, we diminish the act itself. So how do we assess without harming? A few things first, our students get ten minutes of protected self-chosen reading every day. It is the very first thing we do. If I had more time to teach (darn you 45 minutes), it would be a longer period of time. During those ten minutes, the only thing our students are working on is reading a great book. There are no post-its, no jots, no turn-and-talk. They are working on their reading relationship, nothing else, because that task is big enough in itself. While they read I check in with them, not to have them do stuff or talk about their book, but to talk about themselves as readers. 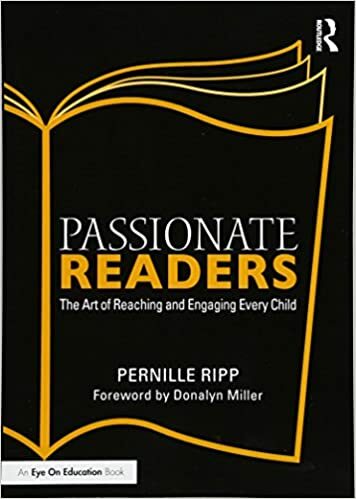 To help them establish or continue a connection to the act of reading itself. Then we move into our mini-lesson, whatever that may be. If the day is focused on reading then after we read the students then apply the skills as they read their own books if they can, a central tenet to our teaching always being; be able to use the skill when needed but you don’t have to use it all of the time. We use read aloud, picture books, or short stories to model and discuss what readers need. If students are asked to do a long-term project with their own books such as focusing on character development, symbolism, or analysis in some capacity, then I model what that may look like within a read aloud. I can sort out from their own writing whether they grasped the depth of the skill or if they merely skimmed the surface. I don’t need to know the plot of their book to do this. If I have questions I ask or look at the book they used. If I need to narrow my scope then I will model a skill using a short story or a picture book (aren’t they almost the same?!) and then have either another short story or a stack of picture books to hand to them as they try out the skill for themselves. Because I know all of the picture books and short stories I can quickly assess whether they understood it or not and use their work to further my own instruction. Simple and yet it works every time. Students get to balance reading their own self-selected text with the work of the classroom and we have created a balance between teaching skills and establishing the love. And there you have it, how I assess my students’ skills without needing to have them do a reading journal – one of the number one things my students attribute to causing a hatred of reading – and without needing to know every single book they are reading. Sometimes it is the simple things that make the biggest difference. With the bustle of December and all of the year-end blog posts starting to be released, the end of the year is fast approaching. But with that end also comes an inevitable beginning; a January that calls for re-invention, renewed commitment, and also the energy to try new things. I do so adore January for all of its passion and courage. It is therefore that I am pretty excited to share that the first ever official book club for Passionate Learners – How to Engage and Empower Your Students will kick off on January 10th. Join this private Facebook group for a casual and fun exploration of the book, find a community of your own that is trying some of the ideas, or have already implemented them into their classrooms. There will be reflective questions, helpful resources, as well as ideas shared in the hopes to make this January the best one yet. Build a working relationship with your students based on mutual trust, respect, and appreciation. Break out of the vicious cycle of punishment and reward to control student behaviour. Click here to join the Passionate Learners book club on Facebook. You will receive a notification from Facebook once you have been added to the group and you can then start posting. Please contact me with any questions. 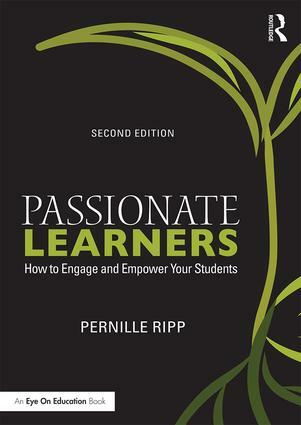 You can get your print or e-book copy of Passionate Learners here.